AIDS Walk Houston 2019 is a community-wide event that attracts thousands of Houstonians each year. 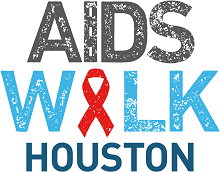 The ~1.8 mile (~3K) walk is produced by AIDS Foundation Houston, Inc. and benefits local AIDS Service Organizations striving to make an impact in the fight against AIDS while providing vital social services to Houstonians living with HIV/AIDS. The proceeds that participants raise support over 90,000 Houstonians each year, providing them with, education, pediatric programs, housing, food, medical care, counseling, and job training.